During winter season, the alpine valley Montafon changes into a tru skiing eldorado. You can experience a relaxing activ holiday within marvelous white scenery. The AKTIV & SPA hotel Alpenrose is easy to reach, regardless of any weather condition, and also the perfect starting point for all skiing regions and excursions at the Montafon. At the ski hotel Alpenrose in Schruns we have the perfect offer incl. ski pass for your skiing holidays at the Montafon! During the day you can explore the skiing region and in the evening you can relax at our wellness area or indulge in our culinary offer at the restaurant. 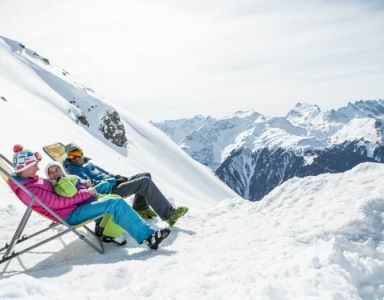 Take advantage of the vast skiing region at the Montafon during your 5-days skiing holiday. We at the Hotel Alpenrose are looking forward to welcoming you and are of services when it comes to recommendations for skiing and snowboarding!